(2) Anyone can bird at any age. One of the most fun things about birding is that it can be a three generational party. Youngsters can join grandparents while mom and dad tag along. Everyone can keep up with a sport that demands you take your time. Listening for the stranger\’s call and glassing the terrain to see where your caller hides requires the vigilance of a detective. Looking for clues is a game that can be played by everyone. (3) Birding is an easy and stress-free physical activity that takes you outdoors. It gives purpose to a contemplative nature walk and encourages us to get out and breathe in the day. While writing this piece, I couldn\’t resist putting it down and running off to explore a trail through a meadow I know to be a safe haven for birds. Birding is a lovely excuse to get out from behind a computer and rest weary eyes. (4) Birds are everywhere. In the city or in the country birds bring life. You don\’t have to go far afield to find them. 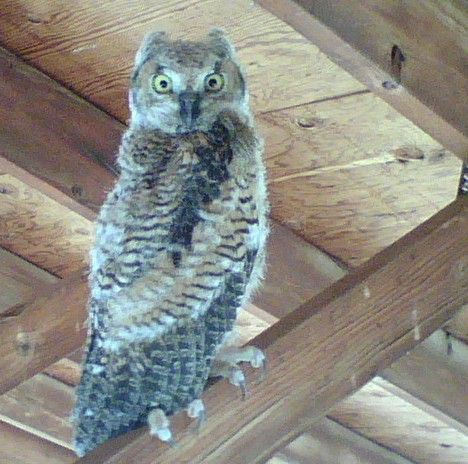 They often nest on street lamps, in the eaves of our houses, in fences, and even in the bird houses we provide for them. If you can\’t get out, you can watch them from your kitchen window. They will come to you if you spread a few seeds and create a water element where they can bathe and preen. 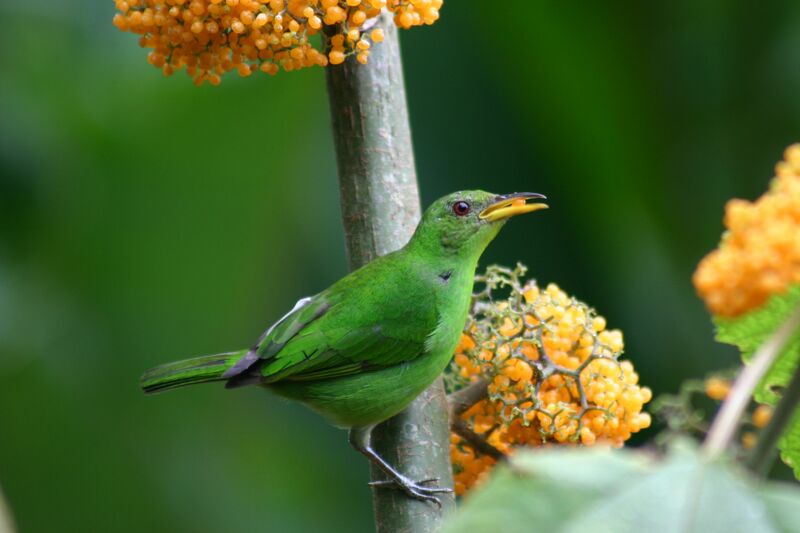 (5) Birding gives a sense of discovery to our explorations. Each time I go for a bird walk I spy someone I\’ve not seen before. Yesterday I saw a blue grosbeak-a bird I\’d read was in my region, but in over ten years of ambling had not run into. It is quite exciting to meet a stranger. But, more often, familiar friends appear differently at different times of the year. Brilliant red breeding plumage brings the dun-colored sparrow alive in spring. These details cannot be discerned without the aid of binoculars that let us see variations that go unnoticed by the casual walker through the same wood. Birding provides beautiful surprises. Like a dot picture, the birds appear as we look closer into the green. (6) Birding with others is fun. The group\’s eyes reveal more than our own. It is amazing how many more birds are discovered when a scene is surveyed with other birders. Additionally, you have the combined knowledge of the group to help you identify and learn about the birds\’ habits. Still, I prefer to bird alone, even if it denies me the thrill of sharing a find with a friend. I like to poke along listening for calls that add a dimension of the sleuth to my meditative walks. If I am in new territory, I enlist a guide. Check with your local Audubon Society for guided walks. (7) Birding gives purpose to our travels. Southwest Texas has an enormous bird population with miles of trails to explore. 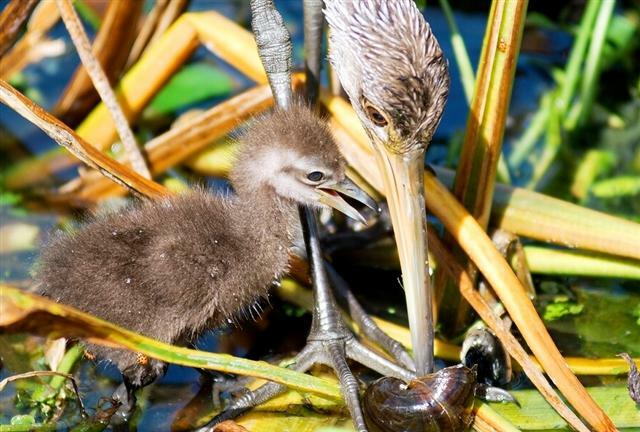 Florida\’s wetlands are filled with wondrous birds. The Ding Darling Refuge on Sanibel Island in southwest Florida is lovely and easily accessed. It is home to the roseate spoonbill, wood storks, tri-colored herons, and many more. Southeast Arizona, especially Ramsey Canyon in the Huachuca Mountains, is teeming with birdlife. I love Birdzilla.com, a comprehensive site that shares information about birding hotspots and anything else you ever wanted to know about birds. 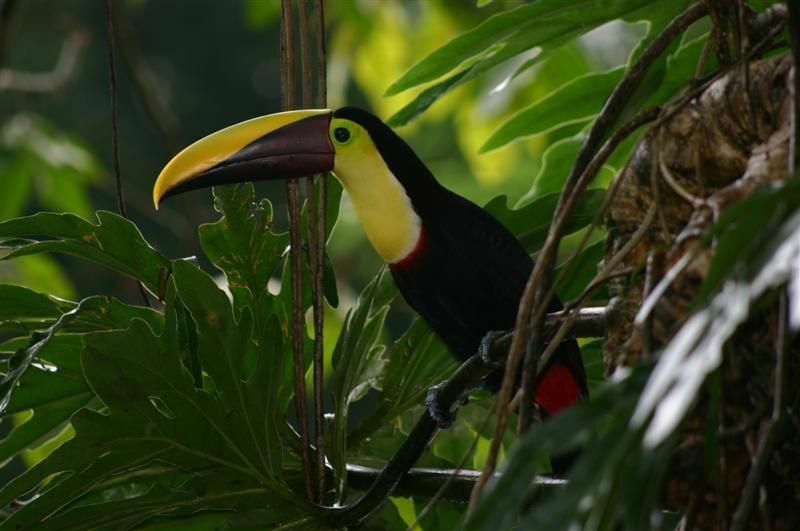 Tour companies found on that site include “Cheeper\’s Birding on a Budget” which offers birding trips about the globe. The dangers of birding include getting “bird neck” from searching the tree canopy too long and tripping because you are not watching the footing in the trail. What can happen is painfully illustrated in my story Falling in the Footsteps of John Muir included in my travel collection Lost Angel Walkabout. To avoid these hazards simply stop walking when you are glassing an area and rotate you head from time to time. 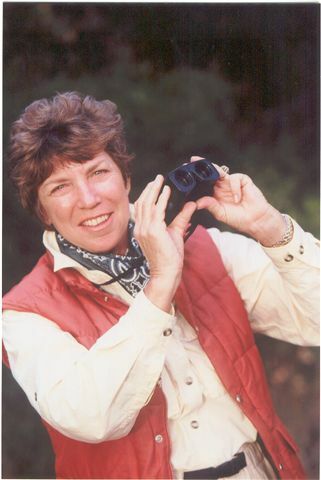 I wear an Eagle Optics shoulder harness for my binoculars to free my hands. It allows me to keep my glasses handy for the surprised bird lifting from the meadow or tree snag as it flees my footfall. I recommend you practice glassing birds on the wing. It\’s a skill that has provided me endless rewards while indulging in purposeful lollygagging. ****Come back next month for an interview with James Currie, a man who is bringing fresh excitement to the birding world with his birding adventures. www.BirdingAdventures.com.